Can I get a HELL YEAH? It's finally the time of year when it is completely acceptable to wear boots all day, every day and I love it. 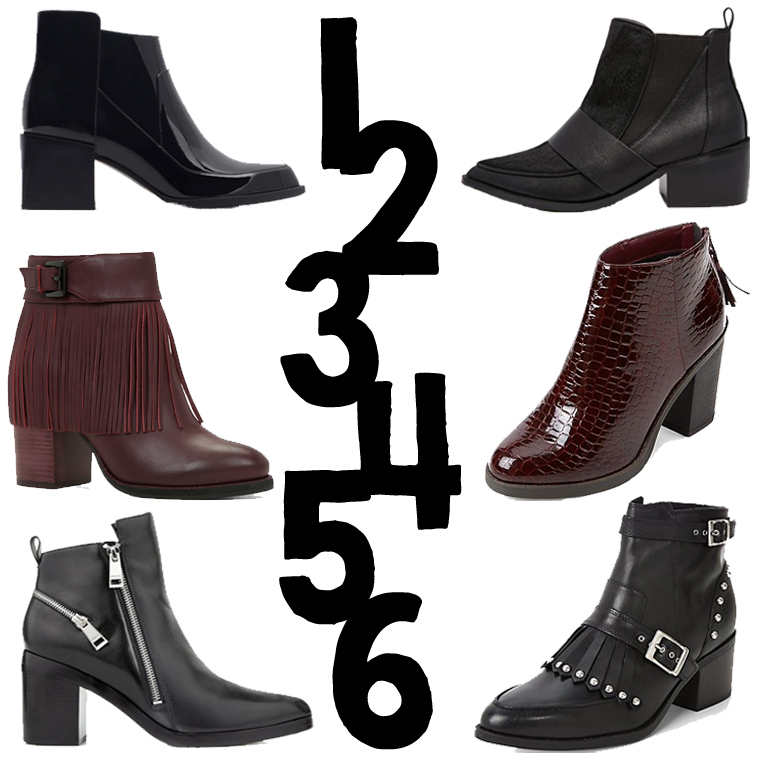 I know I bang on about wardrobe staples but everyone needs a pair of killer boots, they roll with the trends and can be styled with just about everything, smart or casual. So, whatever your style - you can rock 'em. ..These posts are all well and good but now I'm in a predicament, I NEED THEM ALL! Which are your favourites? 2 and 3 are beaaaautiful! And me, I'd happily wear them all! Not quite sure my bank balance would be ok with that!